« “Forgotten Hollywood”- El Segundo Author Fair Photo Album! The greatest scribe of 20th Century science fiction is dead. Ray Douglas Bradbury was the most prolific author of the genre since Jules Verne and H.G. Wells. However, his influence into the field of speculative fiction was actually Edgar Allan Poe and Edgar Rice Burroughs. 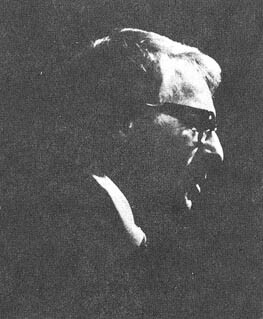 Much of Bradbury’s work has been interpreted in television anthology programming and in cinema. During his youth, the movies of Lon Chaney captured Ray’s imagination. His literary legacy began after watching the daytime matinee serials, Flash Gordon and Buck Rogers. 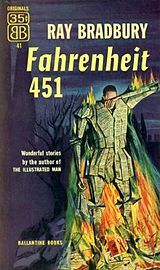 Bradbury began having his science fiction stories published in 1938. He was a mainstay maestro of the genre until the 1980’s, when he dabbled in detective fiction. In between (and so respected), Ray became a consultant for the American Pavilion at the 1964 New York World’s Fair; and the original exhibit housed in Epcot’s Spaceship Earth geosphere at Walt Disney World in Orlando. Many of his short stories were adapted to radio and television anthologies, such as X Minus One, Tales of Tomorrow, Lights Out, Suspense, and most notably, on Alfred Hitchcock Presents and The Twilight Zone. I Sing the Body Electric (from the book of the same name) was adapted for its 100th episode, which first aired on May 18, 1962. The Martian Chronicles became a three-part miniseries starring Rock Hudson that broadcast on NBC in 1980. From 1985 to 1992, the writer hosted a syndicated anthology series The Ray Bradbury Theater. His most famous screen adaptations include It Came From Outer Space; Fahrenheit 451, directed by Francois Truffaut; and The Illustrated Man, which featured Rod Steiger and Claire Bloom. Among the many accolades Ray Bradbury has received: An asteroid discovered in 1992 was named 9766 Bradbury in his honor. In 2004, he was the recipient of the National Medal of Arts, presented by President George W. Bush. Three years later, Bradbury received a special citation from The Pulitzer Board – for his distinguished, prolific, and deeply influential career as an unmatched author of science fiction and fantasy. The Ray Bradbury Award, presented annually by the Science Fiction and Fantasy Writers of America for screenwriting, was named in the author’s honor. The esteemed Ray Bradbury was 91. This entry was posted on Thursday, June 7th, 2012 at 12:15 am	and is filed under Blog by Manny Pacheco. You can follow any comments to this post through the RSS 2.0 feed. Responses are currently closed, but you can trackback from your own site.